We are just finishing the first weekend of the 18th Annual Shop Hop-Season's Sewn. The hoppers have been plentiful and it is so much fun seeing all the new people this year. The hop continues through next Saturday, April 16th. Remember that we are open until 8 pm on Thurs- Sat. so you have plenty of time to make the trip! A bonus feature for us this year-a wonderful trunk show featuring quilts and projects made from the Little House on the Prairie fabric line. Get inspired by the unique projects then pick up your favorite fabrics in stock now at the shop. 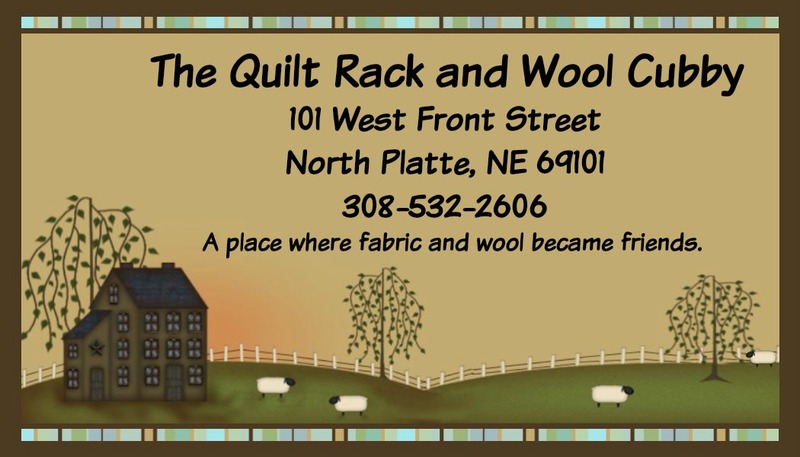 Can't make it to the shop-don't fret-hop over to our online shop The Quilt Rack & Wool Cubby and shop away. We have a special discount code right now NEShop that will save you a whopping 20% off your order. Remember this is available online only, and only until the end of the month.